When families live far apart, it can be almost impossible to decide where to meet – your city, or mine? For Erika and her family the choice was clear – for an occasion as special as this, only a gorgeous European destination would do – and where better to relax and explore with family than Rome! 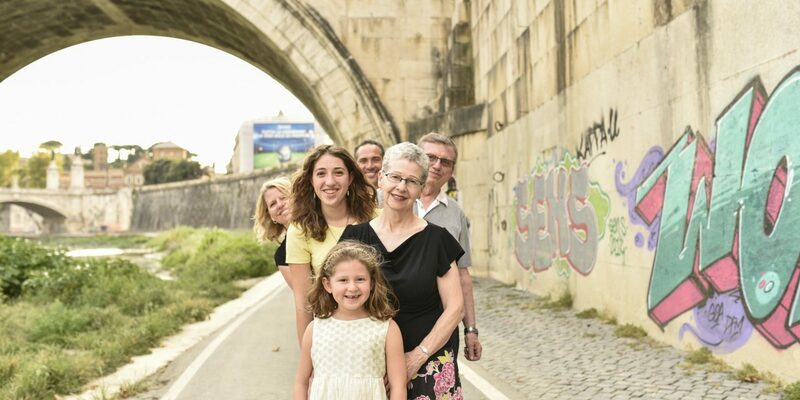 Reuniting as a family to celebrate Grandma and Grandpa’s 50th wedding anniversary, this super cute clan explored the cobbled streets of Rome while new friend and Flytographer Roberta captured their sense of fun, and the close connections they all share! We absolutely can’t wait to capture this family’s next adventure!